But if the red party does take the seats that the figures suggest, that would still leave them needing to take another four to have the 29 they would need to have a majority over the other parties. A Labour leap from 21 to 25 would mean the party would leapfrog the Conservatives, who are currently the largest group with 23 seats. Even though the numbers suggest that as many as eight of 19 seats could change hands, the council will remain under no overall control, with no single party able to cross the magical majority number. The election is being contested in 19 wards by 83 candidates, who are standing for Labour (19), Lib Dems (19), Green Party (19), Conservatives (18), with six UKIP candidates, one for the Women’s Equality Party, and one independent. Figures extrapolated from the 2018 local elections suggest the true blue team is in for a torrid time as they attempt to hold 12 of the 19 seats being contested. They might even lose the seats of leader Alex Walker, and his deputy, Catriona Morris. The Conservatives face being heavily squeezed by both Labour and the Lib Dems, with last year’s results suggesting that they could lose seven seats. But there is a ray of light for the blues; the numbers suggest they will re-take the seat previously held by Independent Andy Dransfield. That would leave them with a net loss of six seats on the night, and on 17 seats overall, just above the Lib Dems on 15. Having said that, it has been said that a week is a long time in politics and much can, and usually does, happen to upset political - and journalistic - applecarts. If the number of people who refuse to vote, or shift their political allegiance, because of national shenanigans over Brexit, or if local factors, or personalities come to the fore, or even if we have foul weather on polling day, that could all affect the numbers. The overall turnout in the borough elections in 2018 was 33.06 per cent, with 64,440 voters casting their ballots. 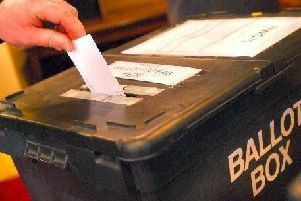 The politicians will be keenly watching the flow of people to the borough’s 133 polling stations while the polls are open from 7am to 10pm. To be taken with a pinch of salt, but this is how Milton Keynes voted in 2018, with an extrapolation of what that could mean when the votes are finally counted at Arena MK on Friday, May 3. Bletchley East: In 2018 Labour’s Mohammed Khan beat Tory Angela Susan Kennedy by 265 votes on a 27 per cent turnout. If that result is repeated on May 2, Emily Darlington would HOLD her seat for Labour against Jo Breen, (Green), Stephen Clark, (Lib Dem), and Angela Susan Kenney (Cons). Bletchley Park: In 2018 Conservative Allan Rankine beat Labour’s Gladstone McKenzie by 55 votes on a 36.79 per cent turnout. If that result is repeated on May 2, Nabeel Nazir would take the blue baton from retiring Ann Clancy and HOLD the seat for the Conservatives, against against Sean Nathan Barnes (Lib Dem), the UK Independence Party’s Jane Anne Duckworth and Ed Hume (Labour and Cooperative), and Michael John Sheppard (Green). Bletchley West: In 2018 Labour’s Mick Legg beat Conservative Kevin Geaney by 315 votes on a 33 per cent turnout. If that result is repeated on May 2, Labour’s Lauren Jane Townsend would GAIN the seat won by retiring Tory Maggie Geaney in 2015, against UKIP’s Karl Alan Patrick Downey, Matt Drewett (Lib Dem), The Green Party’s Joe French, and Conservative Mo Imran. Bradwell: In 2018 Lib Dem Rex Exon beat Labour’s Stephen Brown by 452 votes on a 35.56 per cent turnout. If that result is repeated on May 2, Robin Bradburn would HOLD his seat for the Lib Dems against Labour’s Stephen Michael Brown, Conservative Krishnamurthy Panthula, and the Green Party’s Colin Weaving. Broughton: In 2018 Lib Dem Sam Crooks beat the Conservatives’ John Baker by 196 votes on a 30.85 per cent turnout. If that result is repeated on May 2, Lib Dem Kerrie Cheri Bradburn would GAIN the seat being defended by Tory deputy leader Catriona Morris. Also contesting the seat are Ola Oladoye, (Lab), and Alex Price (Green). Campbell Park & Old Woughton: In 2018 Conservative Terry Baines beat Lib Dem Robin Morello by 175 votes on a 38.71 per cent turnout. If that result is repeated on May 2, Conservative Peter McDonald would HOLD the seat against Carol Barac (Green), Labour’s Adan Jama Kahin, Paul Duncan Trendall, of the Lib Dems, Carol Barac (Green), and Jane Deborah Whild, of the Women’s Equality Party. Central Milton Keynes: In 2018, Labour’s Moriah Priestley beat Conservative Tubotamuno Uranta by 715 votes on a turnout of 25.74 per cent. If that result is repeated on May 2, Paul Williams would HOLD the seat for Labour. There is no Conservative candidate this time round but the Green Party’s Hilarie Jane Bowman, Russell Frederick Houchin (Lib Dem), and Independent Darron James Kendrick are also contesting the seat. Danesborough & Walton: In 2018 the Conservative David Hopkins beat Labour’s David Richard Cockfield by 1,216 votes on a turnout of 32.68 per cent. If that result is repeated on May 2, Alice Jenkins would HOLD her seat for the Conservatives against David Richard Cockfield (Labour), Flo Montague (Lib Dem), and the Green Party’s Peter Skelton. Loughton & Shenley: In 2018 Conservative Dan Gilbert beat Labour’s Carole Diane Baume by 204 votes on a turnout of 48.58 per cent. If that result is repeated on May 2, Conservative Amanda Jane Marlow would beat Labour’s Ben Nolan and GAIN the seat which had been held by an Independent former Conservative, Andy Dransfield. The other candidates also hoping to win are Andrew Kakabadse (Lib Dem) and the Green Party’s Gill Kirkup. Monkston: In 2018 Lib Dem Jenni Ferrans beat the Conservatives’ Jamie Raul Tamagnini-Barbosa Coles by 765 votes on a turnout of 29.51 per cent. 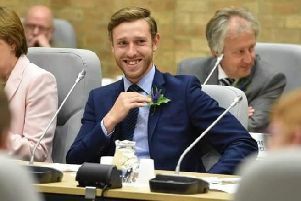 If that result is repeated on May 2, Lib Dem Leo James Montague would GAIN the seat held by retiring Tory councillor Andrew Buckley. Hoping to upset the applecart are James Richard Hadfield (Green), Amber Teagan McQuillan (Labour); and Jaimie Tamagnini (Conservative). Newport Pagnell North & Hanslope: In 2018 Conservative Andrew Geary beat Labour’s Nicholas John Phillips by 1,342 votes on a turnout of 35.79 per cent. If that result is repeated on May 2, George Phillip Paul Bowyer would take the baton from retiring Conservative Lynn Patey-Smith and HOLD the seat against a challenge from Andrew Carr (Lib Dem); Alexander David Chapman (Labour); Andrew Grant Cole (UK Independence Party); and the Green Party’s Dan Rowland. Newport Pagnell South: In 2018 two seats were up for grabs and both were won by Lib Dems, Paul Alexander and Jane Carr, with majorities of 680 and 675 over the Conservative candidates David Jordan Edwards and Philip James Ashley Wharton. The turnout was 34.3 per cent. If that result is repeated on May 2 Jane Carr would HOLD her seat for the Lib Dems against challenges from Helen Joyce Den Dulk (Green); Nick Phillips (Labour and Cooperative Party); and Christopher Paul Wardle (Conservative). Olney: In 2018 Peter Geary was elected for the Conservatives with a 1,430 vote lead over Labour’s second placed Deirdre Bethune. The turn out was 35.62 per cent. If that result is repeated on May 2, David Hosking will HOLD the seat for the Conservatives against Labour’s Dee Bethune; Dana Green (UK Independence Party); Tony Oyakhire (Lib Dem); and Catherine Jean Rose (Green Party). Shenley Brook End: In 2018, Lib Dem Andrew Reilly beat Conservative Knowledge Chinyanyu Mpofu by 37 votes on a turn out of 31.51 per cent. If that result is repeated on May 2, Lib Dem Thais Portilho would GAIN the seat held by retiring Conservative councillor Hiten Ganatra, against opposition from Ray Brady (UKIP), Shery Delfani (Labour); Derek William Heath (Green Party); and Saleena Raja (Cons). Stantonbury: In 2018 Labour’s Hanna Minns beat Conservative Stuart James Tomlin by 344 votes on a turnout of 40.76 per cent. If that result is repeated on May 2, Labour’s Emily Orchard would GAIN the seat currently held by the Conservative leader, Alex Walker, and beat off the challenge of Peter Edwards (Green); and Alan Mallyon (Lib Dem). Stony Stratford: In 2018 Labour’s Jenny Marklew beat Conservative Graham Nicholas Russell by 562 votes on a turnout of 40.76 per cent. If that result was repeated on May 2, Labour’s Anne Cryer-Whitehead would GAIN the seat currently held by retiring Conservative councillor Denise Brunning, against the challenge of Paul Bartlett (Conservative); Richard Michael Greenwood (Lib Dem); Peter James Hughes (Green) and Jeff Wyatt (UK Independence Party). Tattenhoe: In 2018 Labour’s Anthony Brown beat the Conservatives’ Jennifer Anne Richards by 41 votes on a turnout of 33.2 per cent. If that result is repeated on May 2 Labour’s Jack Robert Mellish would GAIN the seat held by retiring Conservative Geetha Morla against opposition from Lucy Rebecca Bjorck (Green); Kathy Greenwood (Lib Dem), and Conservative James Justin Lancaster. Wolverton: In 2018, Labour’s Rob Middleton beat the Conservative Mohammad Qasim Awan by 851 votes on a turnout of 31.5 per cent. If that result is repeated on May 2, Labour leader Pete Marland would HOLD his seat against Qaslim Awan (Conservative); Alan Herbert Francis (Green); and Andrew Douglas Kelly (Lib Dem). Woughton & Fishermead: In 2018 Labour’s Shammi Akter beat Conservative David William Priest by 991 votes on a turnout of 22.72 per cent. If that result is repeated on May 2, Labour’s Carole Diane Baume will take over from her retiring predecessor, Kevin Wilson and HOLD the seat for her party, against opposition from Rebecca Ann Cave (Lib Dem); Susan Gillian Payne (Green); and Dave Priest (Cons).